Dominic Monaghan is a big and small screen star who counts The Lord of the Rings and Lost among his credits. Wild Things with Dominic Monaghan sees the actor travelling, eating and playing his way to various corners of the planet in search of weird and wonderful creatures. That bite came from BBC America, which ordered the series as part of its drive into original programming. It will be made by Cream Productions, the Toronto-based producer run by David Brady (Survivorman) and director and producer Christopher Rowley, and UK-based factual prodco Wildfire Television. They are making the show with OLN and Five, which will show it in Canada and the UK respectively. In each one-hour instalment, Monaghan goes to a different location, looking for a key species, but finding many more en route. ‘Biggest’, ‘scariest’ and ‘weirdest’ were the watchwords when selecting the animals that would be featured. Over the full run, the show travels to Ecuador, Venezuela, Cameroon, Namibia, Laos, Vietnam, Malaysia and Guatemala. The core animals Monaghan is tracking down include army ants, the Goliath beetle, the black thick-tailed hairy scorpion and the giant huntsmen spider. Clearly passionate about wildlife, Monaghan says his aim is to dispel myths about the giant bugs, creatures and creepy crawlies featured and make people think about them in a different way. The show’s credits have Monaghan’s fingerprints all over them and he is listed as its creator, writer, coproducer and host. Known as an actor, this is the first time he has fronted a show in this way. “It’s me on the screen and it’s the first time I have put my neck on the line like this,” he says. “I’m the narrator, host and presenter; if people don’t like it, they don’t like me. There are destinations already planned for series two, should the first season be well received. Monaghan says he would like to head to Australia, New Zealand, Madagascar and Peru next time as well as taking in England. Meanwhile, the star is working up other ideas about keystone and endangered species, but says that acting will remain his first love. He recently caused a storm on Twitter by making comments about his former Lost co-star Matthew Fox. The resulting furore hasn’t, however, put Monaghan off the micro-blogging platform. 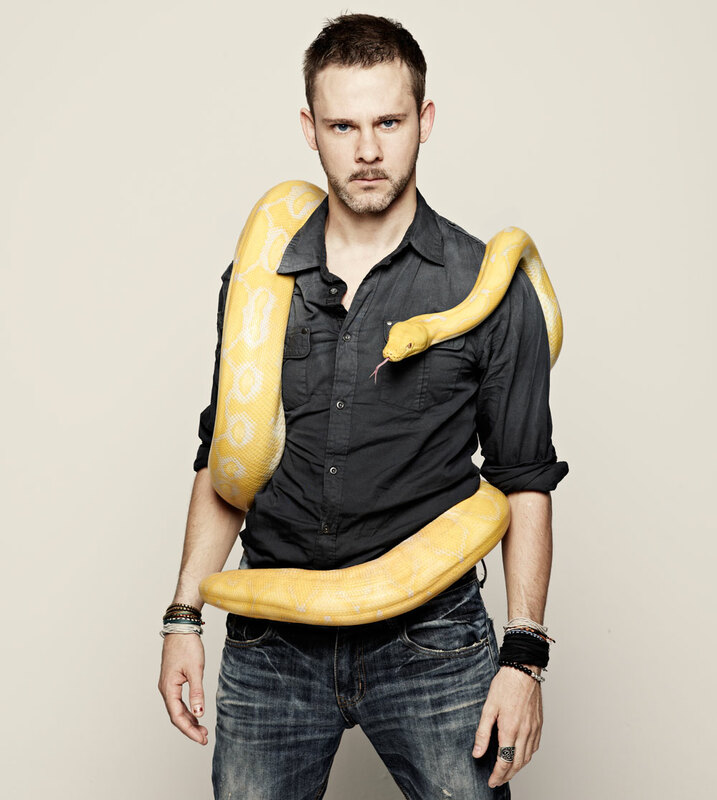 Wild Things with Dominic Monaghan is distributed by ITV Studios Global Entertainment, which will launch internationally at MIPCOM.